This is way past the date I said I would post these but about a month ago I went to an auction with vintage Americana. I was a rookie at the auction and enjoyed looking at all the classic Americana there. Here were some of the signs I took a picture of. 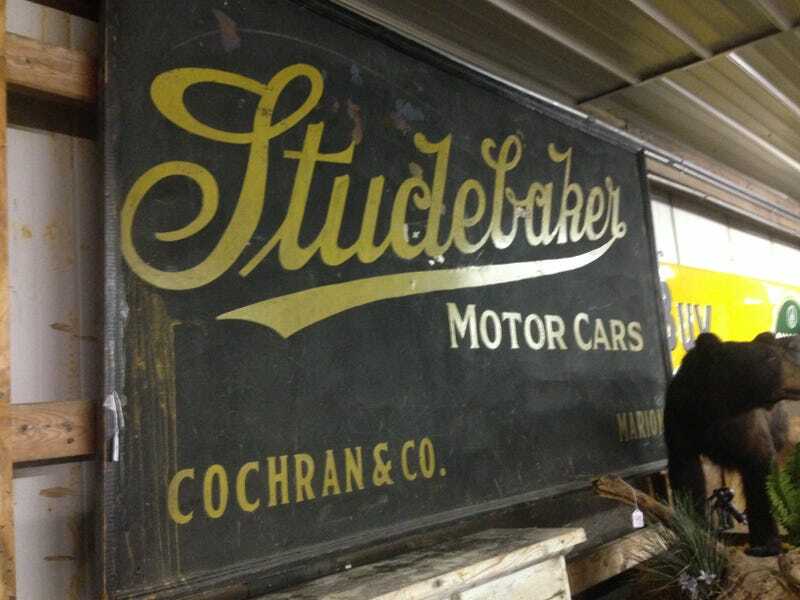 Most of these signs went for at least 100 dollars, some such at the Studebaker picture above went for over 1000 dollars. Sorry this is iPhone quality photos! The sign below is the sign that I was lucky enough to get my hands on. I have always been a big supporter of Cadillac and I truly believe they are almost the standard of the world yet again. It is a neat little sign that I have never seen before and it looked very Art Deco to me. If you ever get a chance to go to an auction to buy something I suggest you do it. Be it a car or an old sign like this they are a lot of fun!